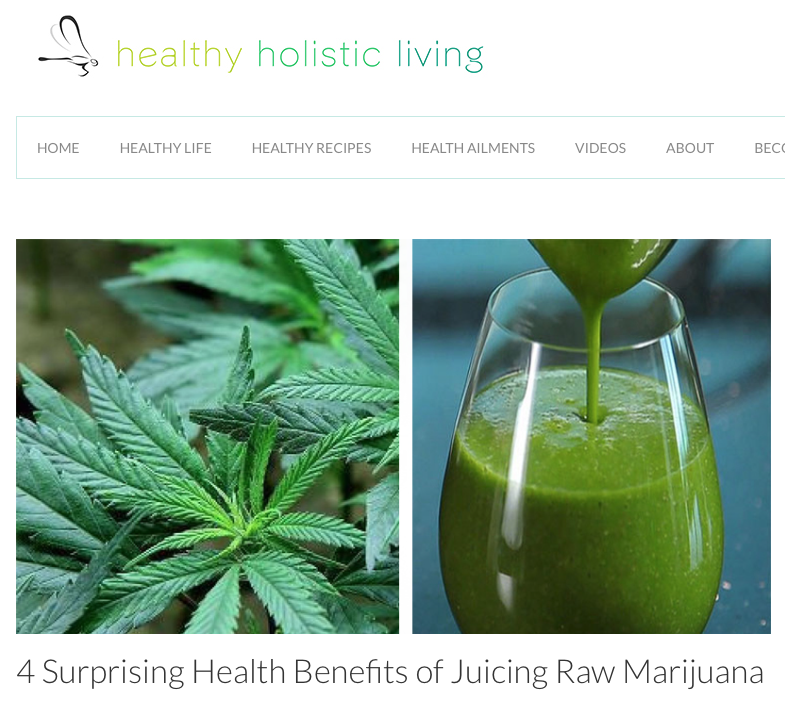 4 Surprising Health Benefits of Juicing Raw Marijuana. Did you know that marijuana is a vegetable? Yup – it’s true. The marijuana plant’s leaves and buds are actually loaded with antioxidant, anti-inflammatory, and anti-cancer compounds. These compounds are known as cannabidiols (CBD) and they make marijuana, cannabis, or whatever you want to call it, a superfood. But when heated, all of that goodness evaporates – it goes up in smoke and is blown away. Instead, be blown away by the health benefits of juicing the raw marijuana plant. When heated the psychoactive compound – tetrahydrocannabinol (THC) – is released from the plant. Most people don’t want medicine to get “high” though. Our bodies were made to receive cannabidiols and the plant does not need to be heated to get these healing properties. We have cannabinoid receptors built-in to our bodies. Getting CBD into your body can normalize functional systems like cell communication and immune functions. This means that the systems that make up your body, from cells to organs, will talk to each other better, have a better understanding of what’s going on, and help to clean things up.